This is a reposting of a blog entry from March 2013. When I teach life cycles, it’s easy to turn to the obvious. My class made butterflies on Friday and will write about their life cycle this week. There is a ton of material on the Internet about butterflies which makes it easy. That’s why books like Life Cycle:Ocean are important because they make you think beyond the comfortable and try something new in your teaching. Sean Callery has written a whole series about life cycles in different habitats. I was lucky to find this book since all of the others were checked out from my local library. In the introduction, Callery discusses the parts of a food chain(producers, primary consumer, secondary consumer, top of the chain with no predators). 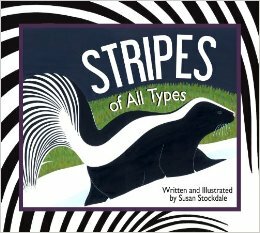 Throughout the book, readers will go “through three food chains from oceans” and learn about the life cycles of 11 different animals. I find the combination of life cycle and food chain information an intriguing mix and a great resource. For example, coral is the first part of a food chain in warm ocean waters. A two page spread explains the life cycle of coral. There are extra fun facts about the animal included in the spread. On the bottom right hand corner of the second page is a great tease where an ellipse calls for the reader to predict what is going to eat the feature animal. A small piece of a photograph adds a visual clue to the mix. What we find on the next spread is a starfish that eats the coral. Beautiful photographs accentuate each spread of information. In the back matter you find a terrific food web that connects all of the featured animals in the book. Dare to go beyond butterflies! Be bold and teach about other life cycles that are not as familiar. You can start by checking out a couple of Sean Callery’s books and compare life cycles in different ecosystems. What is similar and different about life cycles in the ocean and in polar regions? If you are teaching children to map information, these books are quite valuable in that regard as well. Kids care about animals. Kids care about the environment. 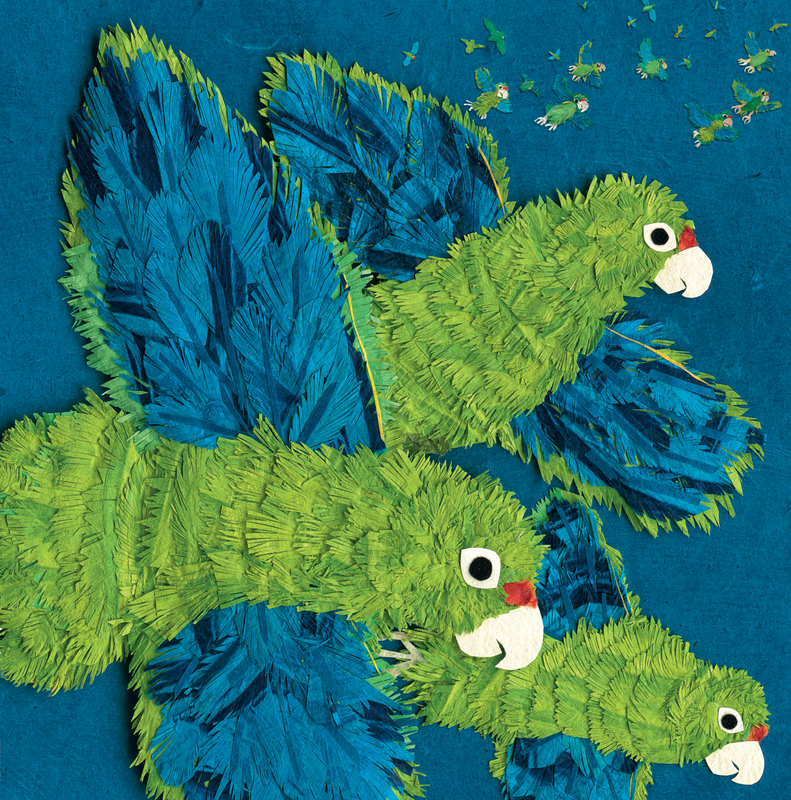 Parrots Over Puerto Rico engages these interests with stunning collage illustrations and high-interest narrative that is both poetic and scientific. 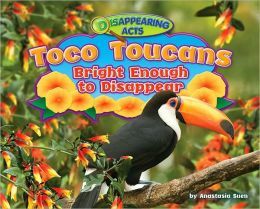 This book presents a fascinating look at the beautiful, raucous Puerto Rican parrots, their environment, and the efforts that have been made to ensure the future of these endangered birds. Above the treetops of Puerto Rico flies a flock of parrots as green as their island home. They lived on this island for millions of years, and then they almost vanished from the earth. For centuries beautiful, Puerto Rican parrots and the settlers on the island of Puerto Rico hunted for food, survived hurricanes, raised their young, and protected their homes. But then things began to change, and in time the trees in which the parrots nested were destroyed. By 1967, only twenty-four Puerto Rican parrots were left in the wild. Humans had nearly caused their extinction. Could humans now save the parrots? Copyright © 2013 Louise May. All Rights Reserved. 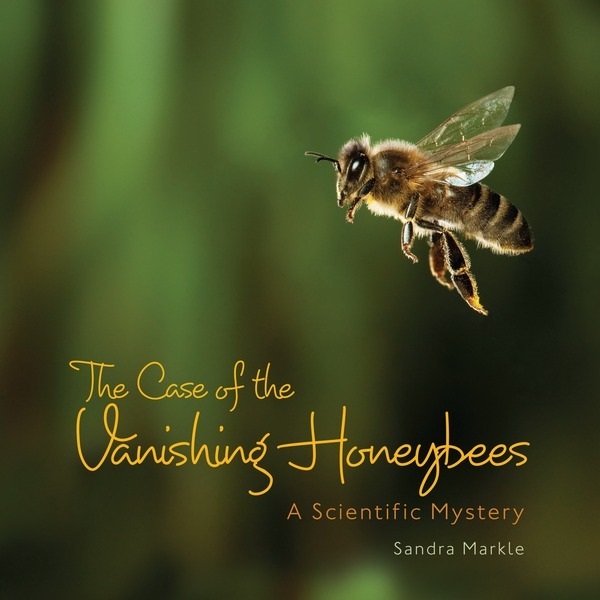 This week for STEM Friday, we’re featuring Sandra Markle’s new book The Case of the Vanishing Honeybees: A Scientific Mystery. What’s killing the bees? That’s a mystery scientists and gardeners have been investigating for years now. Our bee population is dropping. This matters because about one-third of our food supply is pollinated by bees. Apples, almonds, apricots, and avocados, for a start…and that’s just food starting with A. So is it just pesticides that’s causing our bees to die off? That’s unlikely, though it is one important cause. Students can follow along in the investigation of a real-life science mystery in The Case of the Vanishing Honeybees: A Scientific Mystery. And furthermore, check out our FREE teaching resources. These activities, written by author Sandra Markle, invite students to dig deeper into the story of the disappearing honeybees. Copyright © 2013 Lerner Publishing Group. All Rights Reserved. 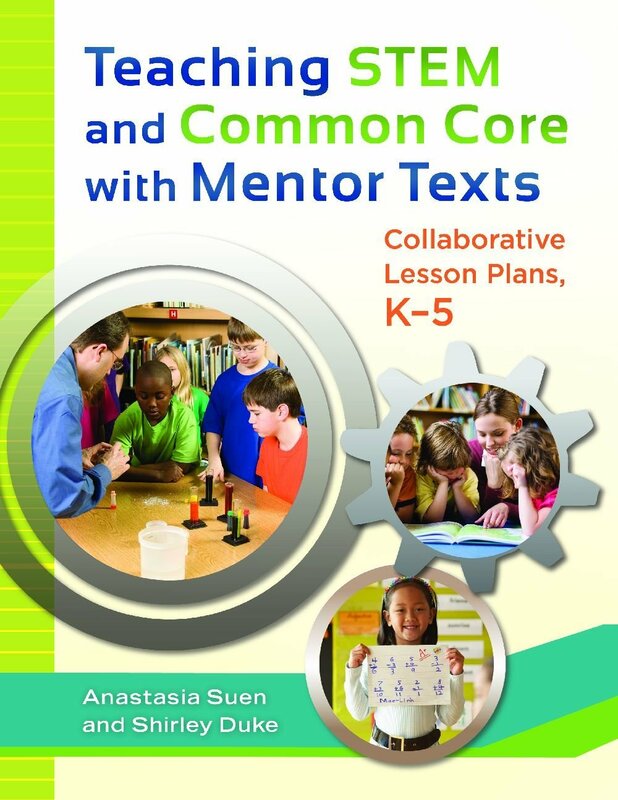 Categories: STEM Friday round-up | Tags: bees, Sandra Markle | Permalink.